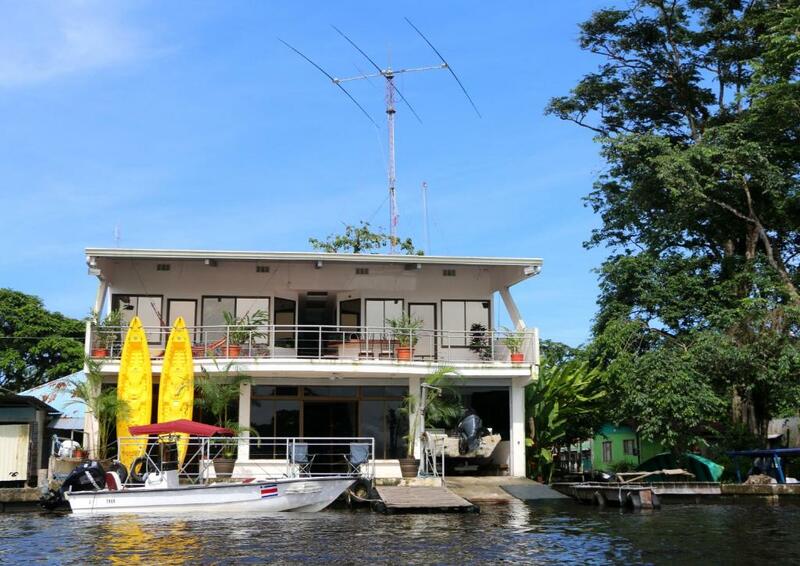 Lock in a great price for Tortuguero Adventures GuestHouse – rated 9.4 by recent guests! The convenience of having a room that fit my family. The staff was excellent and the tours were excellent. Beautiful view of the river. Its walking distance to the National park, beach, and good restaurants. Great view from terrace, air conditioning was helpful, shared kitchen was well appointed. Isaac was fabulous. 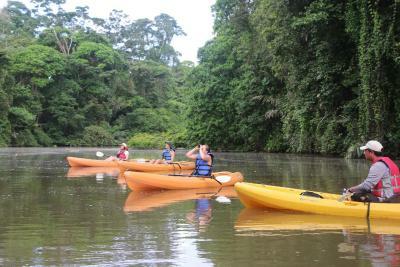 Great location next to Tortuguero National Park entrance. Staff were very helpful and knowledgeable about the local wildlife. Staff were always happy to meet every need. Lovely second story deck facing the water with gorgeous views of the surrounding area and the sunsets. Shared kitchen made preparing light meals very convenient. Overall, loved the place! Would definitely go back. The staff Isaac and Kevin were excellent host, took a lot of time helping me, and were extremely pleasant to deal with. 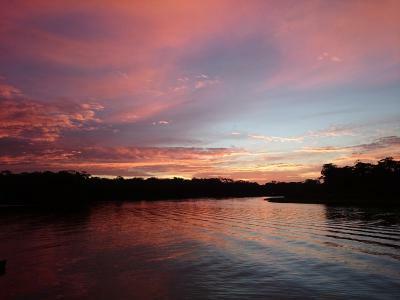 Isaac is knowledgeable about the area, Costa Rica, and the wildlife. They really go out of their way to be helpful. Great location in town and on the water. The staff is wonderful and speak English perfectly so there is no language barrier. They honestly have the best tours and tour guides. 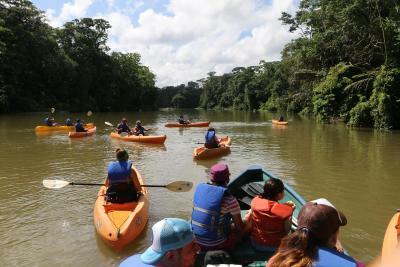 The canoe tour we took with Issac was a once in a lifetime experience and he truly enjoyed nature and was very knowledgeable. He went above and beyond. Andres was a gentleman and his recommendations were the best. 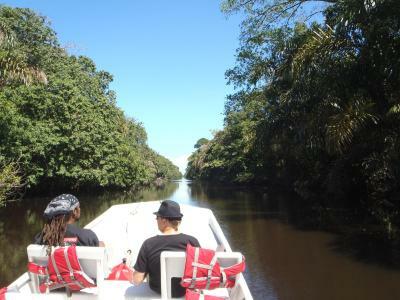 If your going to Tortuguero you need to visit these guys. Whether you stay with them or not, be sure to get a tour with them. Andres was a fantastic host. 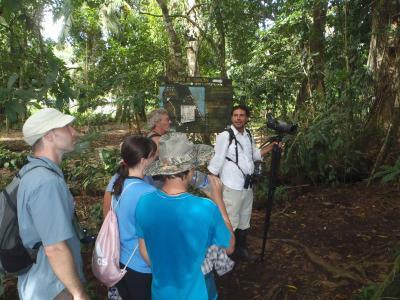 We enjoyed our stay and learned a lot about Costa Rica ecosystems during Andres tours. Fabulous, friendly and knowledgeable staff! They were willing to help in any way possible. There were hummingbirds in the garden! You get a lot of value for this place! 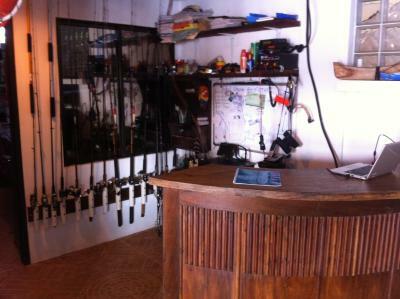 The owner was very friendly, and extremely helpful. He was also a great guide. 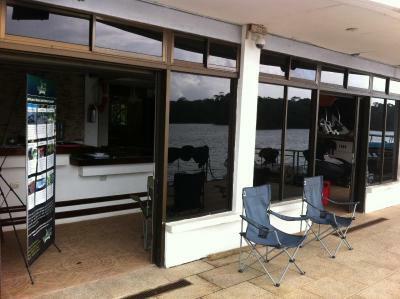 The location is excellent as it's close enough to walk to from the dock and also right next to the entrance of the park. There was a beautiful sunset view from the terrace. The bed was very comfortable (I am picky about this due to back problems). We got a good hot shower which is often hard to get in Costa Rica at this proce point. 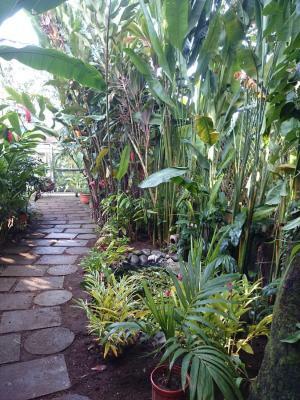 Located a 6-minute walk from Tortuguero National Park, Tortuguero Adventures GuestHouse has a garden, a terrace and free WiFi. When would you like to stay at Tortuguero Adventures GuestHouse? 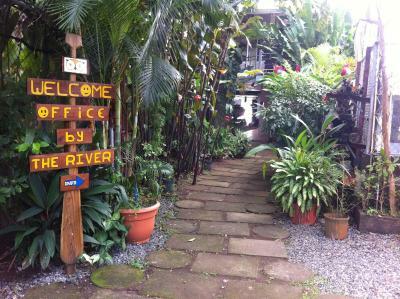 House Rules Tortuguero Adventures GuestHouse takes special requests – add in the next step! Tortuguero Adventures GuestHouse accepts these cards and reserves the right to temporarily hold an amount prior to arrival. 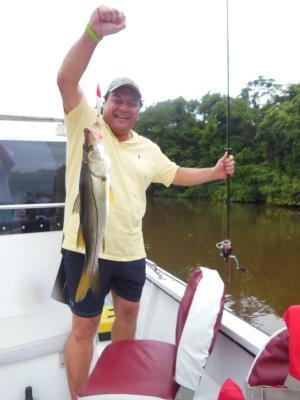 Please inform Tortuguero Adventures GuestHouse of your expected arrival time in advance. You can use the Special Requests box when booking, or contact the property directly using the contact details in your confirmation. We enjoyed both room, view and location. The balcony overlooking the river is fantastic. We also booked tours there and were very pleased. Air conditioner broke down on our last night. 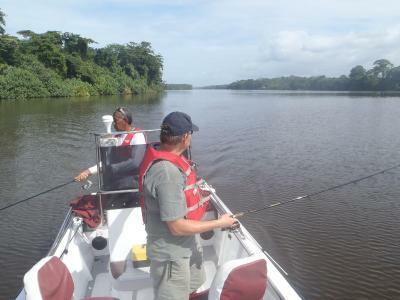 Excellent view over the Tortuguero waterways. Very helpful staff. The bed felt sandy because the sheets weren't clean. A bit noisy at night because its next to a night club. The location had a perfect view of the river, and convenient for kayaking or canoeing since the host offers guided trips. Also, right next to the nature park where turtles can be seen nesting or hatching when it's season. In addition, there was a homey atmosphere with access to a kitchen, where it was possible to make coffee. Overall good experience! The shower was adequate but could be updated. Service from staff was amazing. The room was large and comfortable and access to a shared kitchen was awesome! Position was great - the balcony overlooking the river! Nothing. This place was perfect. Beautiful views from balcony, overlooking river. Rooms were clean and comfortable. Nothing was too much trouble for Andre to arrange. We took Andre's morning river tour. He was very knowledgeable and the tour was excellant. Top bunk didn't have a guard rail as is customary for US and Canada. We stayed for 6 nights at Tortuguero Adventure Guesthouse, and really enjoyed chilling out watching the Venetian style boat traffic passing by. 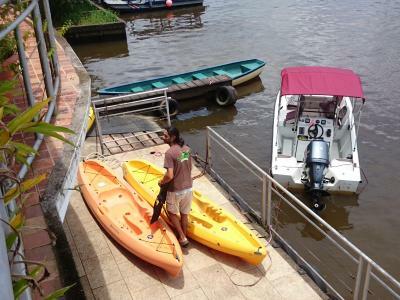 To be honest this place costs more than we budget travelers usually pay for rooms, but after renting kayaks from Tortuguero Adventures during past trips we decided to splurge and stay with them. Now, in hindsight, we are quite glad we did. So much wildlife to be seen from the shared balcony including a nesting pair of tiger herons right in the tree nearby! We loved having access to the excellent shared kitchen and kayaks!!! Want to go on a tour with a liscened guide. Just go downstairs and sign up at reception. How wonderful is that?!! Will do our best to return for longer next year... Thanks for everything Andreas and Staff! We will be telling our friends about you! Some building work going on - but not noisy or intrusive in early morning or evening. The view from the room / balcony was simply stunning. Genuine desire to help you get the most of your stay. The electric canoe tour. The simple but home cooked breakfast with fresh fruit. The positive attitude of the stall. The village with no motor vehicles and only a 1 hour boat ride to travel to the village. A " bucket list " certainty. When we arrived by boat we immediately spotted the guesthouse, which is very close to the docking station and the national park. The room is comfortable and the view is amazing. Lounge on the balcony with views over the river, it does not get much better than that. 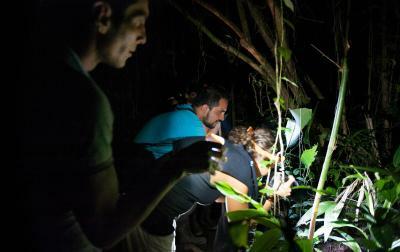 We booked two tours, a night tour and a kayak tour and were lucky to have private tours with Isaac, who is an excellent wildlife spotter and great animal lover. 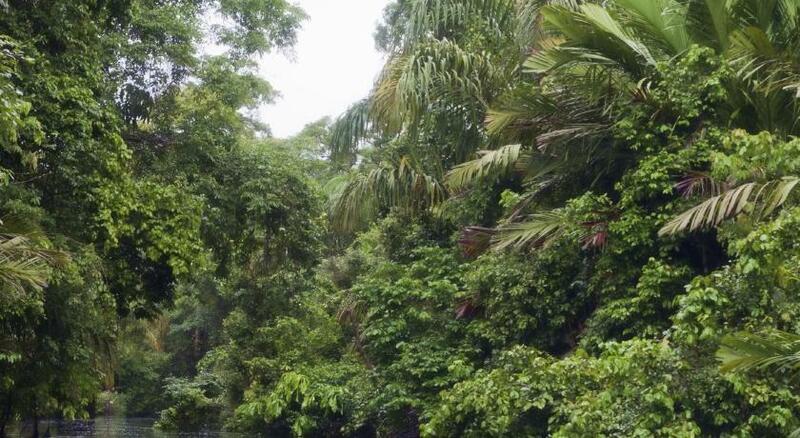 We saw so many animals and Isaac is very knowledgeable, so we learned a great deal from him. We also had a nice breakfast after the kayak tour, which you can add for only a few dollars. We would definitely recommend this place. Friendly staff, nice rooms, beautiful view, lovely terrass. Great value for money! Great view on the river and we took a kayak tour with Andrés who showed us around in the park, great experience too!